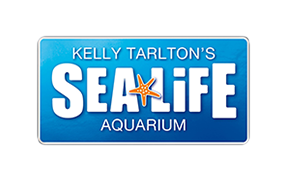 What is a SEA LIFE Kelly Tarlton's Annual Pass? Do I get a discount when renewing my SEA LIFE Kelly Tarlton's Annual Pass? What is the difference between a SEA LIFE Kelly Tarlton's Annual Pass and a Merlin Annual Pass? Do I get priority entry into SEA LIFE Kelly Tarlton's with an Annual Pass? Where do I collect my SEA LIFE Kelly Tarlton's Annual Pass? Can my SEA LIFE Kelly Tarlton's Annual Pass be posted to me? Yes! As an existing pass holder you can renew your SEA LIFE Kelly Tarlton's Annual Pass for another 12 months of fun saving up to 20%! *Please note you will be required to put in you Pass ID number printed on your current/expired passes to get the renewal rate.